Dr. Engel's orthodontic practice has grown from one office to three offices known throughout the Mississippi-Delta as Engel Orthodontics. An active member of St. James' Episcopal Church, Dr. Engel served on the Vestry, as Stewardship Chairman, as leader of the Episcopal Young Churchmen for five years, and as a Sunday school teacher for twelve years. As past president and officer of the Washington School PTO, Dr. Engel raises funds annually for the school. As a board member of the philanthropic King's Daughters and Sons Circle #2, Dr. Engel assisted in the development of the Circle's grant criteria and overall grant evaluation. He is a member of the E. E. Bass Steering Committee, as well as a member of the Greenville Rotary Club and a Paul Harris Fellow. 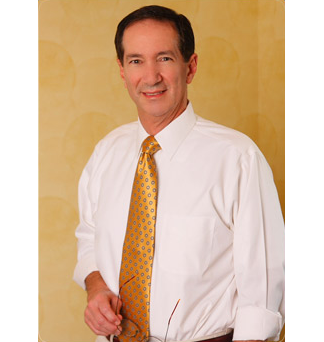 Dr. Engel also served as a board member, officer, and president of the Greenville Symphony Association. Dr. Engel's main community service platform is the Delta Children's Museum. Under Dr. Engel's leadership, the museum presents approximately six projects per year for MS Delta area youth. Ever mindful of the need for the arts in our local area public and private schools, since 1977, Dr. Engel and board members, have brought countless programs, exhibits, hands-on-learning events, and visual leaning experiences to our youth. The vast majority of all projects were free or at a reduced cost to our Delta children. The Delta Children's Museum continued to expand its scope bringing innovative projects to the Delta. In the year 2000, the museum under Dr. Engel's guidance received the Greenville Arts Council Special Achievement Award for "Color Play," the hands-on traveling museum about color housed in the E. E. Bass gym and visited by over 12,000 young people from across the Delta. In late 2004, under Dr. Engel's guidance, the Delta Children's Museum took on its most ambitious project to date—the restoration of the 1901 Armitage Hershell Carousel. After the museum acquired ownership of the carousel, Dr. Engel began a large fundraising effort to restore the 105-year-old Greenville treasure and it is now placed in the Delta Children's Museum Pavilion inside E. E. Bass Cultural Arts Center. Under Dr. Engel's direction of this community effort, the carousel opened to the public in February 2007. In 2008, Dr. Engel was the recipient of the Lifetime Achievement Award for community service. Dr. Engel's grant writing achievements and the gift of his time and energy have made a dramatic impact on the accessibility to the arts for all people in the Mississippi Delta.